Apple Sold One Million iPads in the First Month ! Apple doesn’t like to kid around when they’re talking about numbers. In a press release today, Apple has revealed that they have sold 1,000,000 units in the first month of it’s launch. This according to Apple is less than half of the 74 days it took for the original iPhone EDGE to achieve the same milestone back in 2007. One million iPads in 28 days—that’s less than half of the 74 days it took to achieve this milestone with iPhone. Demand continues to exceed supply and we’re working hard to get this magical product into the hands of even more customers. iPad Reviews and Unboxing ! 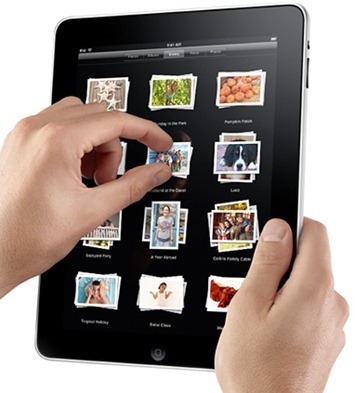 For more, visit our iPad Activity Center for all things Apple iPad ! I'll stick with the iPad Nano, it has a camera, fits in my pocket, oh and it makes phone calls…. Why are you comparing your Nano to the iPad? If anything, compare the iPad to a laptop.